Car shopping. One of the most exciting times in a person’s life, that can quickly turn into one of the worst. Unfortunately, unreputable car dealerships have been popping up across the United States, and have turned that initial excitement into dread. Reliable car dealerships that have built a reputation on their dedication to customer satisfaction and high-quality vehicles are still out there. As long as you know what to look for, and what to avoid, you will have an exceptional experience buying used cars. Albany, NY is home to an outstanding used car dealership that has helped countless local residents find the perfect pre-owned vehicle of their dreams. Fair Pricing: While good prices on used cars are important to buyers, fair and honest pricing reflects the good intentions of a dealership. If a used car dealer doesn’t offer upfront pricing on its vehicles, you will almost certainly be playing games just to get the price to where it should be. Find a dealership that places their vehicles for sale at a fair price, that is reflective of the current market value. It may feel great to get the price down a few hundred dollars, but the stress and headache usually is not worth it. Respectful Sales Team: A friendly salesman or woman is always a welcome addition to any car sales transaction. However, friendly can too quickly turn into condescension and disrespect. Rather than simply look for a smiling face when you arrive at a dealership, keep an eye out for someone who is truly genuine and respectful. A salesperson who takes the time to really listen to what you have to say, and who has a genuine interest in helping you find what you are looking for – is a great indicator that the used car dealership you have found is a good one. Transparency: Used cars come with a past, and regardless of how great a dealership is, there is no escaping it. Any good used car dealer will go to great lengths to ensure the cars they sell are in excellent condition and back up their findings with paperwork. A used car dealer that offers transparency when it comes to the past history of a vehicle, and its current condition, is one that you will want to work with. If a dealership is reluctant to hand over a used vehicle’s CarFax report, consider that a warning sign. A reputable used car dealership should have nothing to hide and will be proud of every car featured on the lot. Positive Reviews: The true mark of a great business, regardless of whether it is a used car lot or not, is positive online reviews. While you may jump onto Yelp to find out which restaurant offers the best Chinese food in town, DealerRater.com is the number one review site for dealerships. If you can’t find a dealership on DealerRater.com, run in the other direction. Every reputable dealership, new or used, is active on this website and welcomes positive reviews, as well as constructive criticism. Pay attention to a dealership’s overall customer satisfaction score, and how the business responds to a less than savory review. These two things are much more telling than a few bad reviews, so be sure to look at the overall picture. 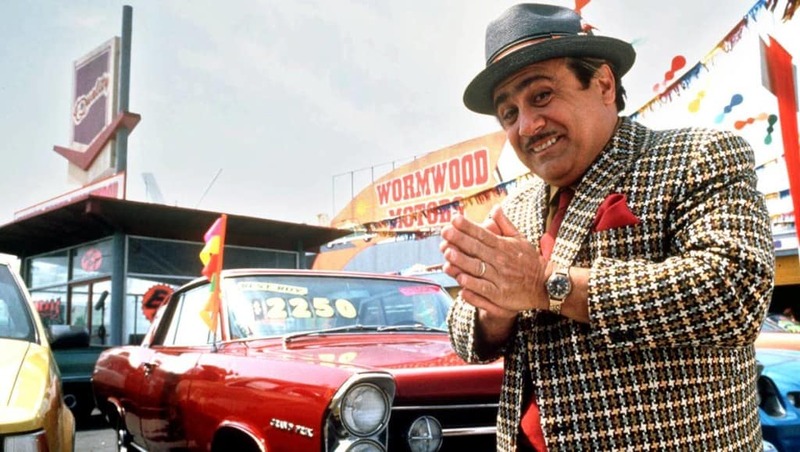 We touched on a few used car dealership qualities to avoid, but there are plenty more to keep in mind as you embark on your used car buying journey. While you shouldn’t be scared of your own shadow as you try to find a reputable used car lot, you should exercise a healthy level of caution. Be on the lookout for the following, to help protect yourself and your money, from a potentially unethical used car dealer. False Promises: These aren’t always easy to spot, but the best way to spot a false promise at a dealership, is to follow your gut instinct. If a used car dealer says something or has a posting sign that seems unrealistic, it probably is. The most common false promise at used car lots is in regards to Certified Pre-Owned cars. The only used car dealership capable of selling vehicles that are part of a genuine manufacturer Certified Pre-Owned program is one that also features that brand’s logo on their sign. A roadside used car lot can’t sell certified pre-owned cars, and none of them actually do. Don’t fall for this common used car sales practice. If it isn’t sold by a dealership that represents the brand in question – it isn’t certified. Bait and Switch: This is one of the oldest sales tricks in the book, and unfortunately, it is still being practiced at used car lots throughout the United States. These dealers catch your attention with flashy signs and rock-bottom sales prices, only to deflate your hopes as soon as you are sitting across from the salesman. Don’t put yourself in this situation. If something seems “off,” or “too good to be true,” it probably is. Manufacturer Warranties: While a used car dealer may not attribute its extended warranties to the manufacturer, some used car dealerships word things in such a way to make you believe that your used car comes backed by the automaker itself. Unless the model you are purchasing falls within the timeframe that the real manufacturer warranty is good for, this is another tactic to get you through the doors. Typically, this “warranty” is through the car lot, and won’t hold up if something truly goes south with your new-to-you car. DePaula Used Cars may be newer to the Albany area as a stand-alone used car dealership, but the DePaula name is anything but foreign to this neighborhood of New York. Backed by the name area residents trust most for their new and used vehicle purchases, DePaula Used Cars is the most comprehensive place to find high-quality pre-owned vehicles from various makes and models. Come down and see what a high-quality used car dealership actually looks like.